Just having things around that make sound isn't good enough anymore. If your speakers can't stream from the internet or tell you the answer to "life, the universe, and everything" then why even have them? LG has announced two new speakers that check all the boxes. The SK10Y soundbar has Chromecast support, and the LG ThinQ Speaker is powered by Assistant. The SK10Y soundbar is designed to pair with your home theater system. It supports 5.1 audio with Dolby Atmos, which supposedly counters the fact that the sound is only coming from the bar rather than distributed speakers (there is a separate sub, though). It has 550W of power and can upconvert audio to 24-bit/192KHz. And yes, it's a Chromecast audio target. The LG ThinQ Speaker will probably have wider appeal. This is another alternative to Google Home with Assistant built in. It's shaped more like Amazon's Echo speakers than a Google Home, but it responds to all the OK Google commands you're already using. It can do searches, play music, control smart home devices, and so on. 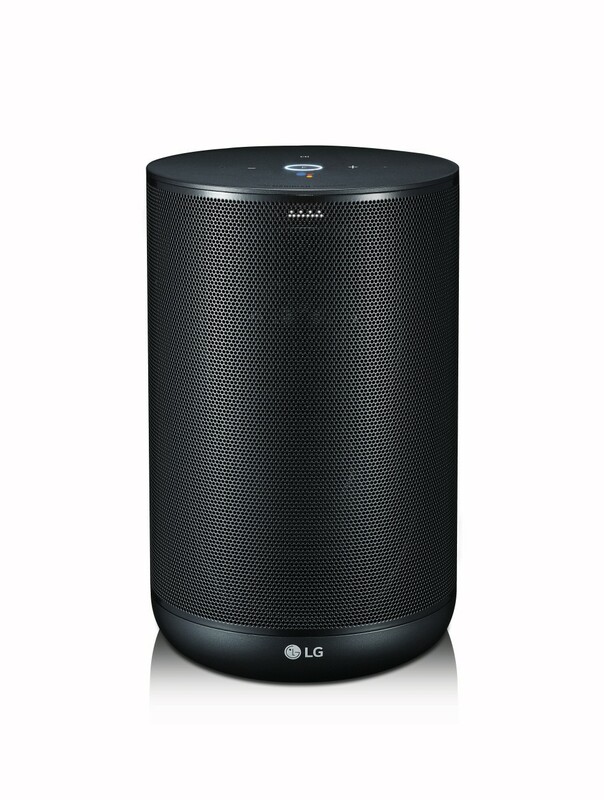 LG didn't offer much on the speaker's specs except to say that it supports "high-resolution audio." Both these devices, along with some new and probably boring Bluetooth speakers, will be on hand at CES in a few weeks.